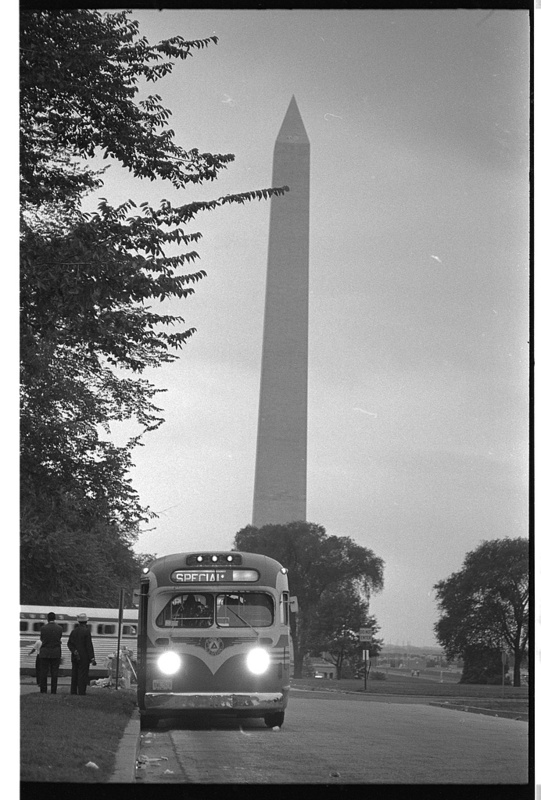 50 years ago, my mom, Patricia MacLean, got on a bus in Providence, Rhode Island with a friend and traveled all night to attend the March on Washington for Jobs and Freedom, on August 28, 1963. Mom and Dad felt that each person has just one life, and should be allowed to live it to the best of his or her ability. They believed in justice and equality. They wanted the world to be a better place. They still do. Mom and Dad had watched the civil rights movement in the 1950s as their four children were born, they bought their first house in suburban Rhode Island, and dad worked hard at one and sometimes two jobs to support us. In the early 1960’s they joined some members of their church in taking a stand in the local movements for fair housing and civil rights. Mom says that during the day, it was mostly the women who were available for picketing at the state house about the fair housing bills then under consideration by the state legislature. So when the word was put out about sending buses to the March on Washington For Jobs and Freedom, it wasn’t hard for Mom and Dad to decide that mom had better go, since Dad was working. She went with Joan Cunningham, Albert Garner (the minister), and many others. 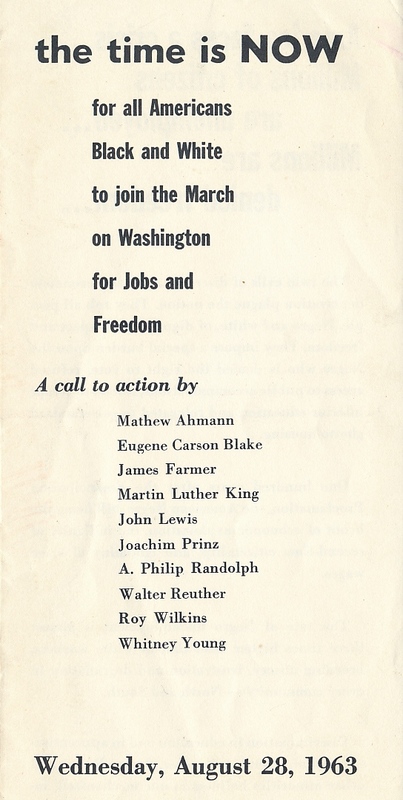 Mom still has the brochure about the call to march. I responded to the call because I wanted to be part of righting a wrong. The NAACP rented four buses for the marchers from R.I. We left Providence late on Tuesday evening, August 27. We were told to bring food and water. I remember I wore a green dress and sandals. We rode through the night, dozing a little but not really sleeping. We had no idea what lay ahead of us. At dawn our bus pulled into Washington. The capital district was deserted except for hundreds of buses parked in the streets. President Kennedy had left town. All the government offices were closed, as were the museums. We gathered on the grounds of the Washington Monument, about 250,000 people. 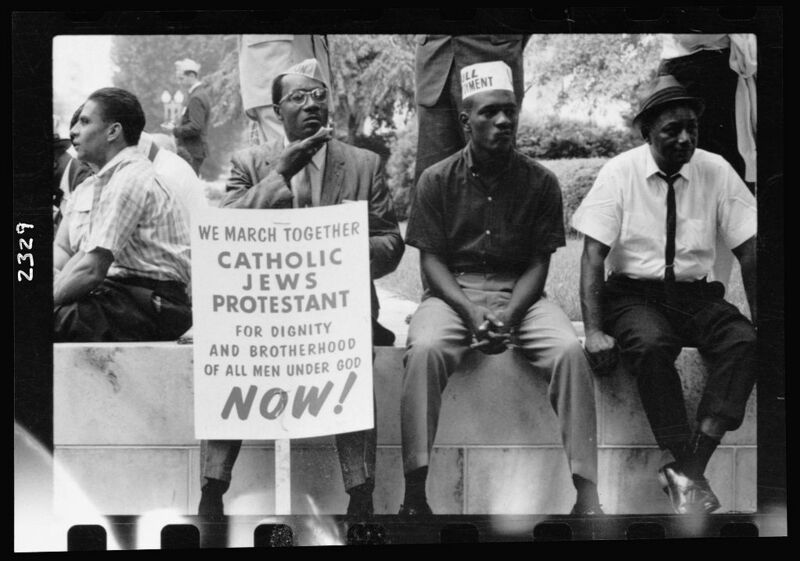 A sea of people, black and white, young and old, priests, ministers, rabbis and nuns, students, families with children, and men from the United Auto Workers wearing their union caps. I remember Joan Baez standing in the back of a pickup truck with her guitar, singing an old union song “I Dreamed I Saw Joe Hill Last Night” in her beautiful clear voice. A roar went through the crowd when a bus arrived from Mississippi. The people from Mississippi had great difficulty renting a bus. It was a dangerous trip for them. 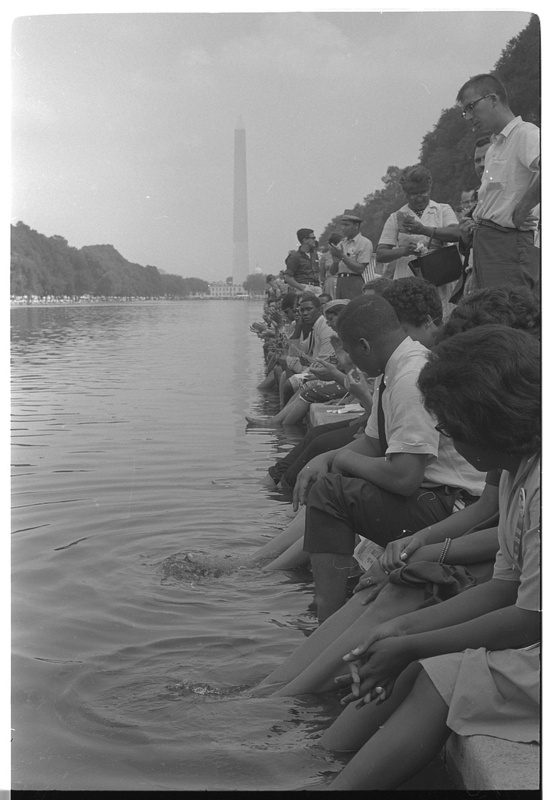 Demonstrators sit, with their feet in the Reflecting Pool, during the March on Washington, 1963. Photo by Warren K Leffler. 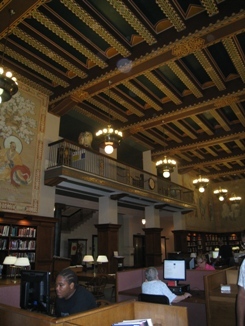 Library of Congress, LC-DIG-ds-00834. The march began its slow move down Pennsylvania Avenue, past the Lincoln Memorial. I will never forget looking up at that great statue of Abraham Lincoln, and singing the Battle Hymn of the Republic. I wish I could tell you I was right up in front when the speeches began, but I wasn’t. I stood and listened to Marion Anderson sing the national anthem, but after that our group found a place in the back of the Lincoln Memorial where we could sit on the grass. The sound system was excellent. 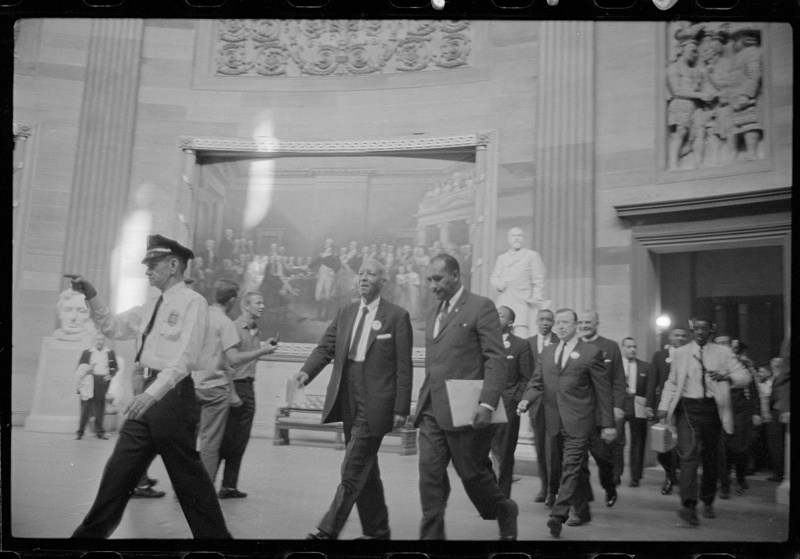 There were many speakers: A. Phillip Randolph, Director of the march, Whitney Young of the National Urban League, Roy Wilkins, Executive Secretary of the NAACP, Dr. Benjamin Mays, President of Moorehouse College, and John Lewis of the Student Nonviolent Coordinating Committee, who is now a congressman from Georgia. I wish I could remember what they said, but I don’t. Then Dr. King spoke. Tired as I was, I knew I would never forget that moment. And I never forgot. 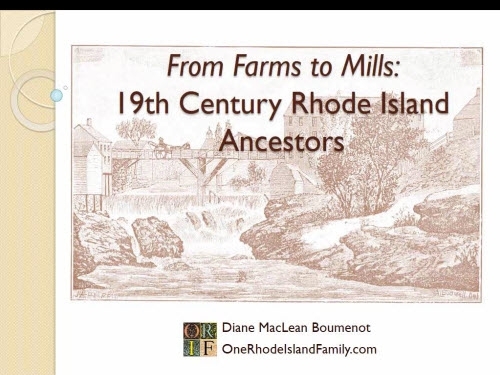 We went back to Rhode Island determined to make a difference. We fought for six years to pass a fair housing bill. We wrote letters, picketed the State House, held teach-ins, and formed a racially integrated group. We decided to integrate the Warwick City Park, a suburb of Providence. We all brought our children and had a picnic on Sunday and went swimming. We got no reaction at all. My memories of mom’s trip are pretty vague, but I definitely remember looking for her in the television coverage of the crowds. Recently my brother sat in as Mom, Dad and I discussed all this. He is a little older, and remembered that there were neighbors you might mention this to, and neighbors where you wouldn’t. Mom bought an LP album of some of the March on Washington speeches and enjoyed listening to them, which is a memory we share. It’s also a memory that my daughters share with her. 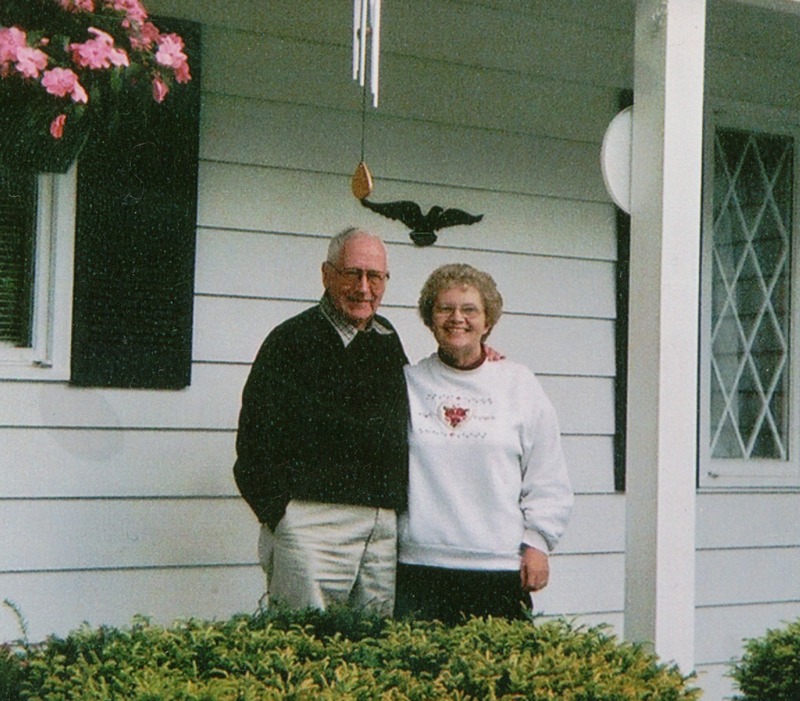 As the years went on, Mom and Dad continued in their belief that everyone deserves respect and a fair chance and they acted on that in many ways large and small. 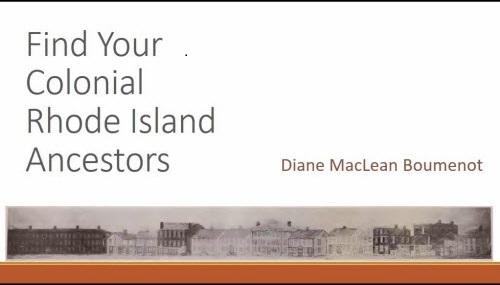 It’s the most valuable family legacy of all. This story is part one of a two part series. 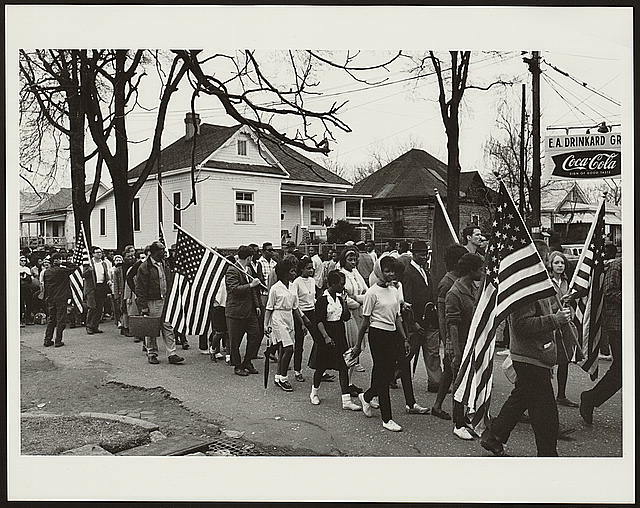 The second part concerns Mom joining the Selma march as it neared Montgomery. I am attending the Federation of Genealogy Societies Conference in Birmingham, Alabama this week. Day One, Wednesday, was mostly devoted to society sessions and activities. 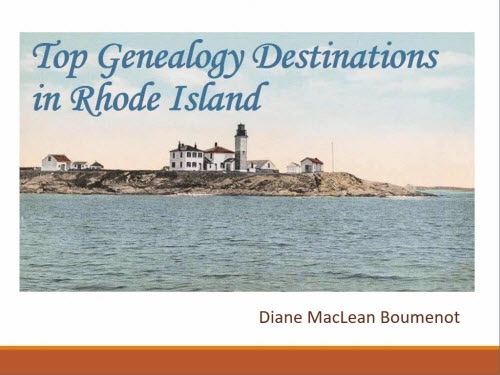 While interesting, I thought 2-1/2 days of genealogy sessions would be overwhelming enough, so I made other plans. I hoped to go to the nearby Linn-Henley Research Building at the Birmingham Public Library and pursue some research on my ancestors that spent some time in Tuscaloosa before the Civil War. 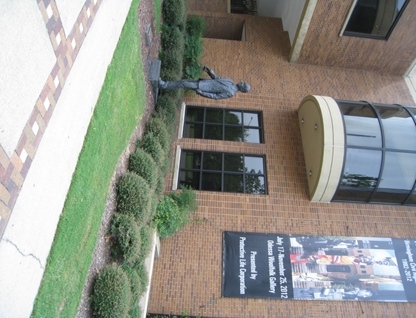 I also hoped to visit the Birmingham Civil Rights Institute if I could manage it. In many ways, the Civil Rights Institute would be a very personal family history journey since my parents took part in several aspects of the civil rights movement. So I spent the morning at the Civil Rights Institute. Once inside, no pictures are allowed. I learned the story of the struggle for basic human rights that took place in the deep south over a period of 400 years, from slavery into its aftermath. Birmingham was, famously and tragically, an extreme example of oppression and hatred based on race. Government, controlled by whites after Reconstruction, made sure to use the law to legitimize the customs they preferred. 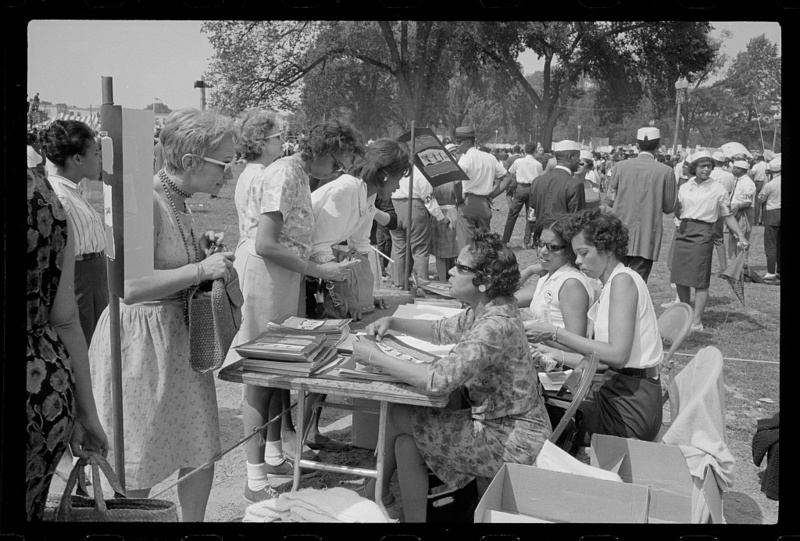 Basic rights of citizens, such as voting, were denied to many blacks in the south. After World War II, what was unacceptable became unbearable. Nowhere, perhaps, was the struggle more difficult or monumental than Birmingham. It is no wonder that Birmingham was the focus of many efforts of Dr. Martin Luther King. And Birmingham had its own powerful leaders in the fight, including Rev. Fred Shuttlesworth. 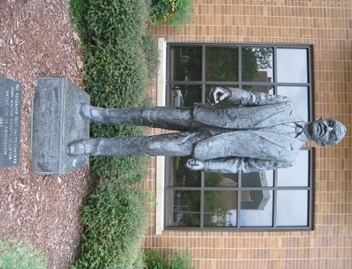 The struggle fought issue by issue, for voting, riding buses, eating in restaurants, getting government jobs, education … without the federal government stepping in at many times, and the efforts of attorney Thurgood Marshall to make that happen, success would have been in serious doubt. 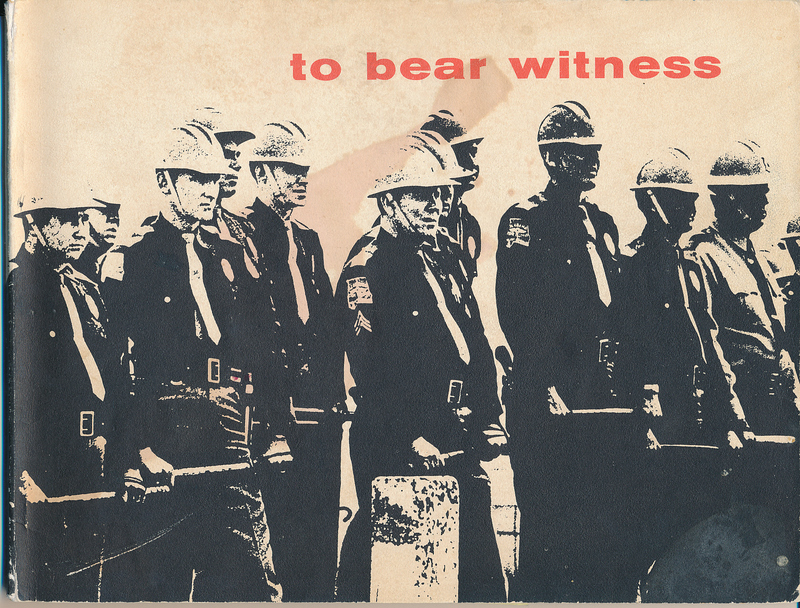 As I learned more about the civil rights activities of the early 1960’s I felt a deep connection to the struggle that was playing out in the exhibit. My mom had participated in several of those events. My parents had a vision about the world and tried to live it (still do, in fact). My memories of those years include, as a 5 or 6 year old, looking at the news on our black and white television with my brothers and sister “looking for mommy,” to see if we could see her in any of the large crowds. As I stood in the museum I was that little girl again, looking for mom in the 20 foot image of the March on Washington, or the pictures of protesters in buses. What I hadn’t expected was that as I was looking at images from 1963, I was also wondering about my family’s history of 1863 when some of my northern family spent about 20 years in Tuscaloosa. I thought of my great great grandmother Emma Lamphere, who was a little girl during the civil war and experienced the hatred and violence of that era. Could she ever have pictured her great granddaughter (my mom) returning to Alabama 100 years later to help to bring some peace and justice to those that (I suspect) Emma felt should be oppressed and marginalized? Legacies are never as simple as we would like them to be. I had to admit that I have connections to both sides of this dreadful fight. I left the museum newly determined to learn more about the Tuscaloosa portion of my family history. 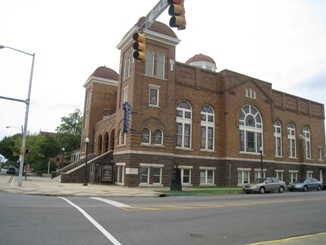 I passed the 16th Street Baptist Church, site of one of the many Birmingham bombings of places used for civil rights gatherings, and Kelly Ingram Park, where young protesters were treated brutally by Birmingham police in 1963. Sixteenth Street Baptist Church, site of one of the many Birmingham bombings. Although many will remember that four Birmingham girls were killed that day, fewer know that two teenage boys were killed by gunfire on the same day, one by a policeman and one, randomly, by a white teenager who was sentenced to six months in prison. No one was brought to justice for the bombing until 40 years later. 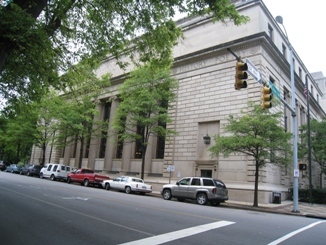 I arrived at the Linn-Henley Research Building at the Birmingham Public Library around noon and spent the afternoon there. If any FGS attendees were missing from the conference, they were surely here. The rooms were filled with researchers. There were more Alabama resources there than I had ever seen. Shelves and shelves of local histories, some of them privately published or reprints of university theses. There were several large sets of compiled indices that I had only heard of, never seen before. I spent hours looking through them. I turned up very little directly about my family, other than some evidence of Confederate Soldier service by two of my gg-grandmother’s brothers. But I was able to photograph an entire hundred-page book containing three accounts of the 1865 experience of the city of Tuscaloosa, for examination later. With little direct evidence to go on, I will start the real research with learning about Tuscaloosa. All in all, I wonder if my visit to the Civil Rights Institute didn’t teach me more about my family history than any library could. That, and meeting up with my fellow bloggers, who I am now realizing can be reliably found in the hotel bar each night. Those conversations were wonderful.